Although the X-Box One is essentially just a 'black box' this cake certainly had it's challenges. 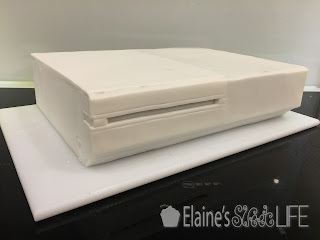 It's amazing how every tiny blemish in the fondant stands out when the surface is flat, black and shiny! 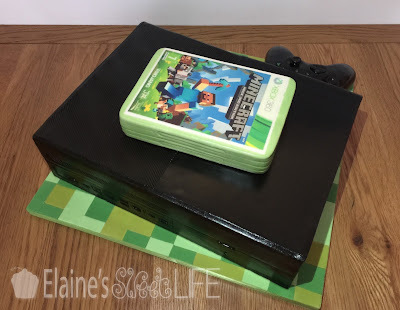 I used edible prints for the very first time on this cake, for the covers of the games cases. 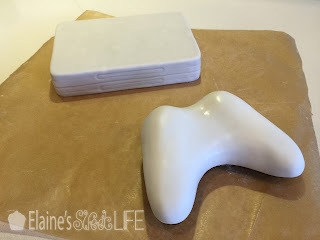 They were really easy to use, and very effective. 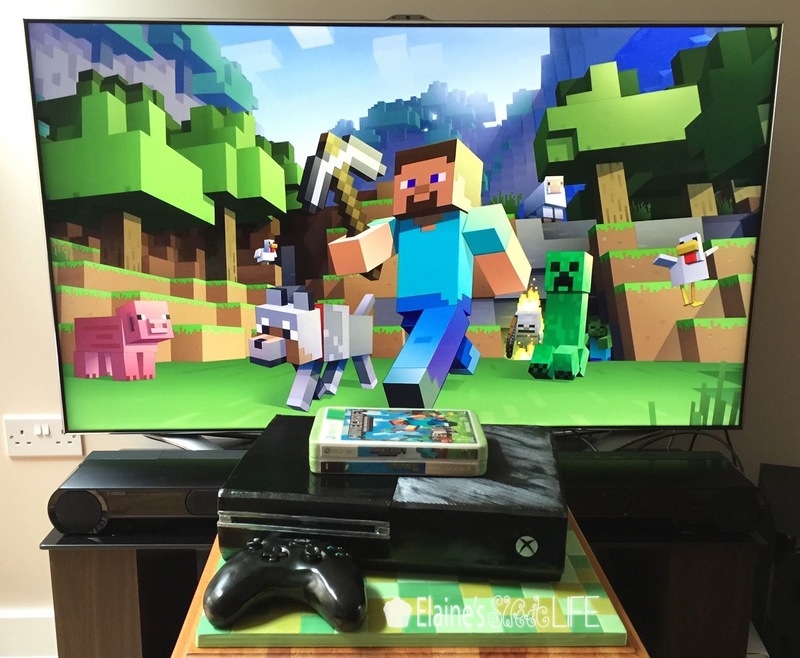 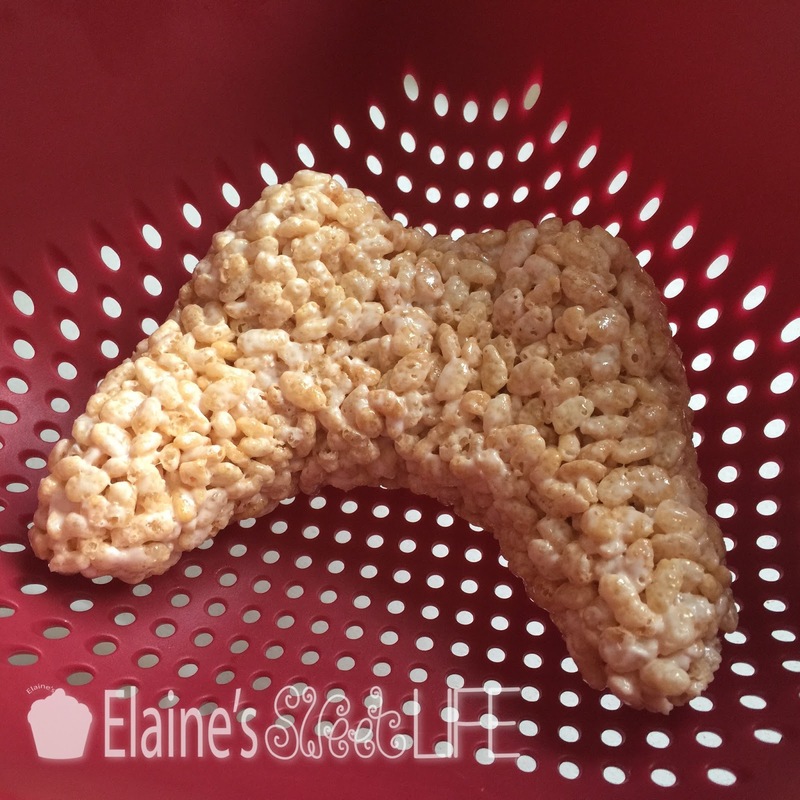 Both the controller and the games case are formed from home made Rice Krispy treats. ...and the smooth top coat. 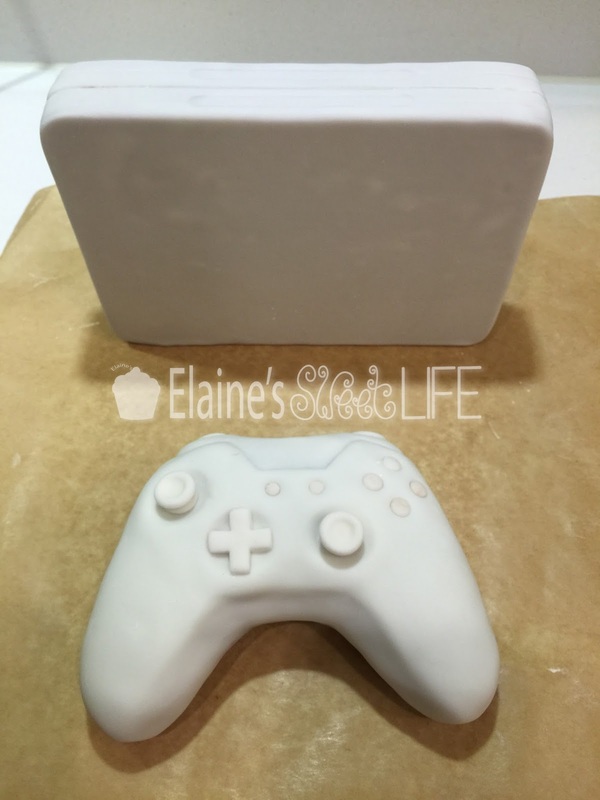 The controller and games case were also covered in ganache to smooth them out and refine the shape, then covered in white fondant. Details were added with fondant. 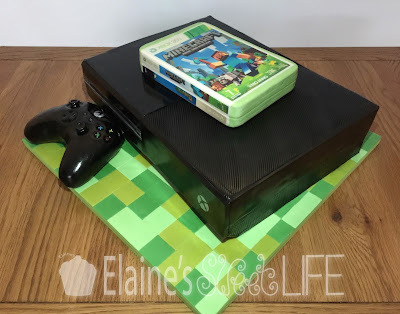 The games case is double sided, two games put together with a cover on each side. 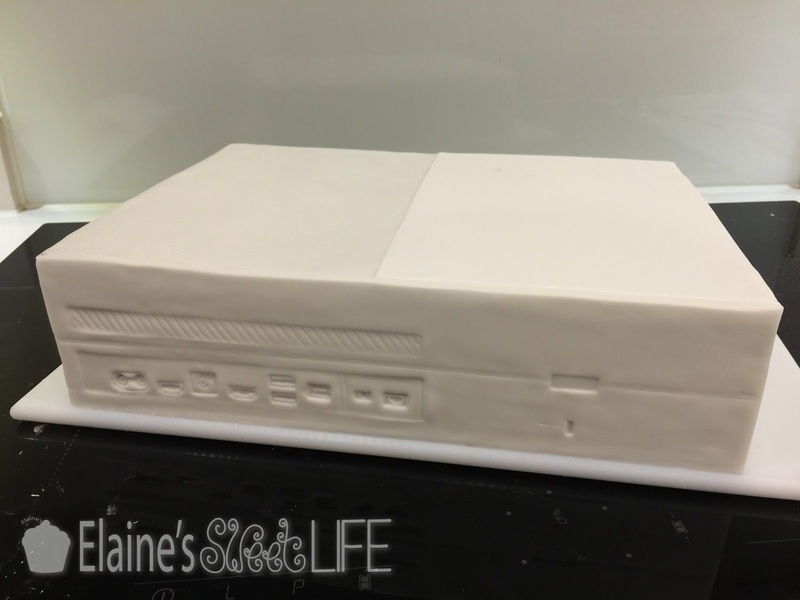 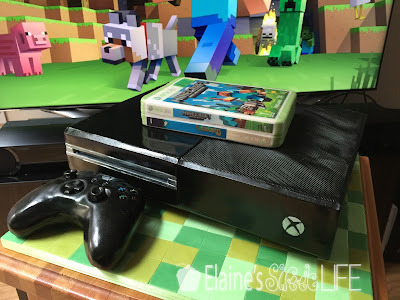 The X-Box is also covered and detailed with white fondant. 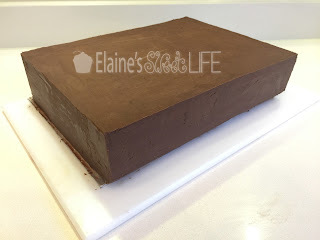 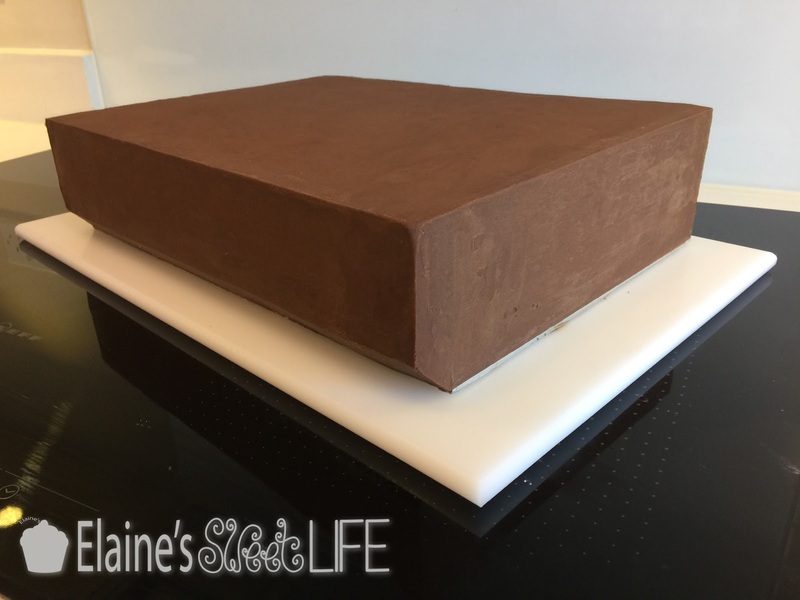 I used a textured rolling pin to get the diagonal grooved texture of the panels on the top and sides of the box. Because the X-Box has so few details, I made sure to add as much detail as I could, there's actually more detail on the back of the X-Box One than anywhere else! 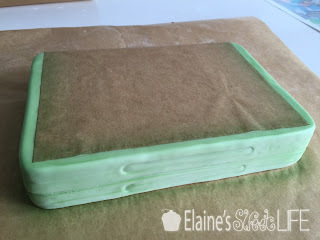 After masking the games case (where the covers will go), I airbrushed green colour on. 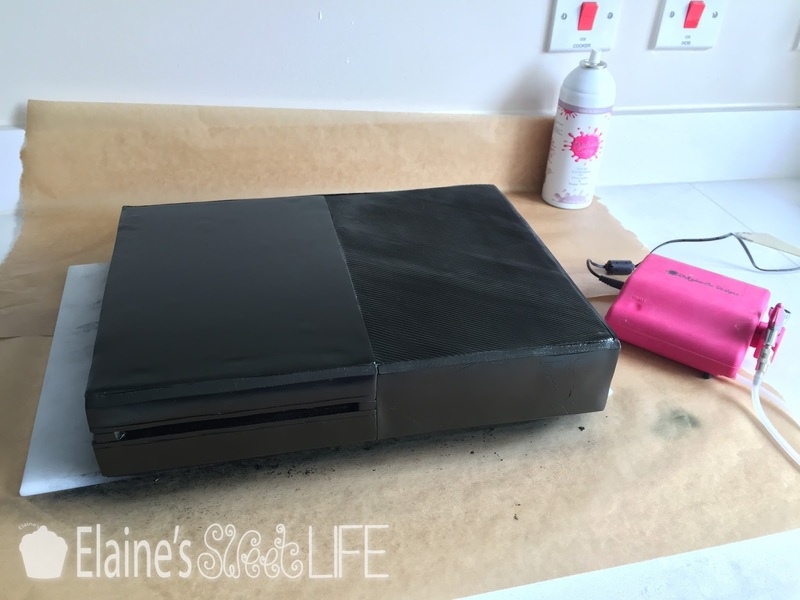 The X-Box and controller each got a couple of coats of black. Then all the pieces were sprayed with Shell & Shine. The final details - logo, silver trim and button labels, were added with a paint brush using edible food colour gels and a Click 'n Twist pen.